GFCI or ground fault current interrupters measure the current flowing into the outlet through black or hot wires. If the GFCI deteds any difference greater than 7 milliamps, it shuts off the current. Any difference in the current is an indication that the currents is somehow shorting or leaking. These are dangerous situations, and a GFCI will shut down faster than a standard circuit breaker or fuse. NESC and NEC required the intallation of GFCIs in the United States. According to a statistic in the US, if a GFCI is installed in every home, 2/3 of residential electrocution could have been prevented. Water and water pipes are common on these places, and water and water pipes are good at attracting current away from its path, to your body. Other information related to GFCI could be found on these carefully selected links. 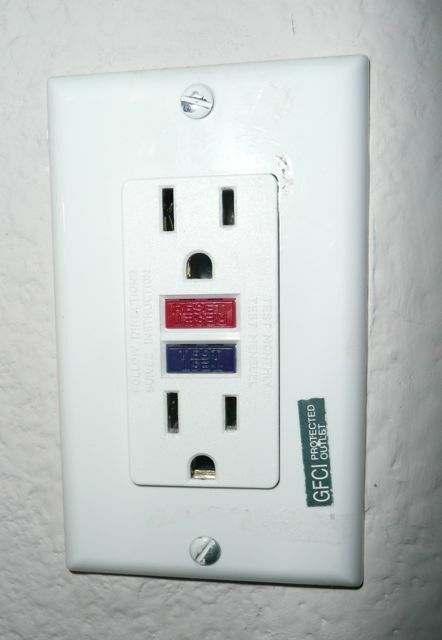 How does a GFCI outlet work?